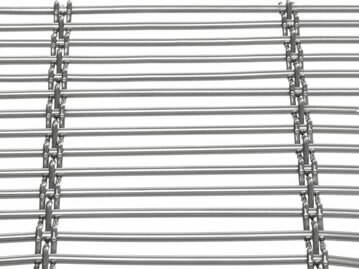 Compared with cable metal mesh crimped wire mesh is further amended. 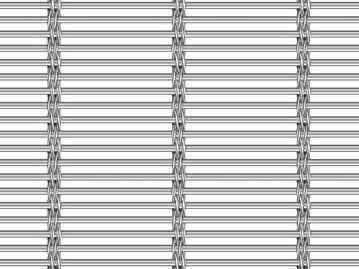 And it also can be used for building exterior facade mesh. 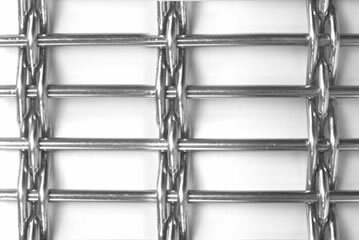 The vertical cables are replaced by solid round wires, which offer more stiffness for the mesh. 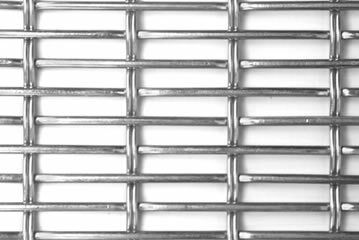 Due to its special crimps, this type of wire mesh becomes more robust and corrosion resistant. It is mainly made of stainless steel wire, copper wire, brass wire, phosphor bronze wire and other materials. 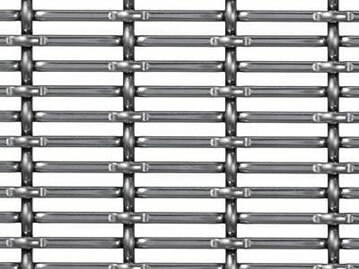 Besides, each panel is fitted with a series of clevis screws and the U channel substructure at the top and the bottom. 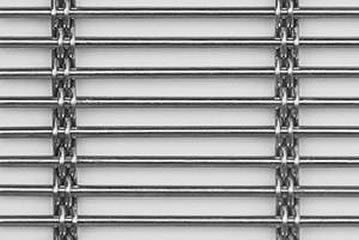 This provides the optimum tension for the building exterior facade. The result is a homogeneous facade without interruptions. 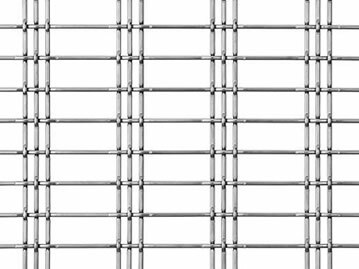 Its inherent stability and varying degrees of transparency make crimped wire building facade mesh become an incredible versatile mesh suitable for many interior and exterior applications. 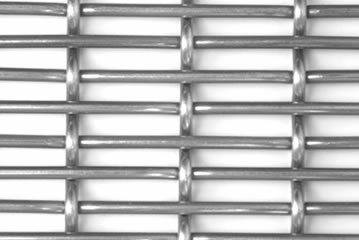 We can offer you various styles of crimped wire mesh for building facade. Robust specification and good stability, design for facade. Groups of wires create the vertical structure. The strength of the utilized material makes it durable. A high degree of transparency because of the special weave structure. 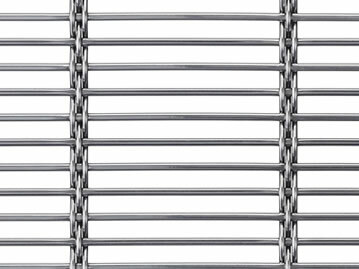 Crimped wire mesh is widely used as the facade cladding and building cladding in the high-class building constructions, the office buildings, parking garages and the shopping mall, etc. 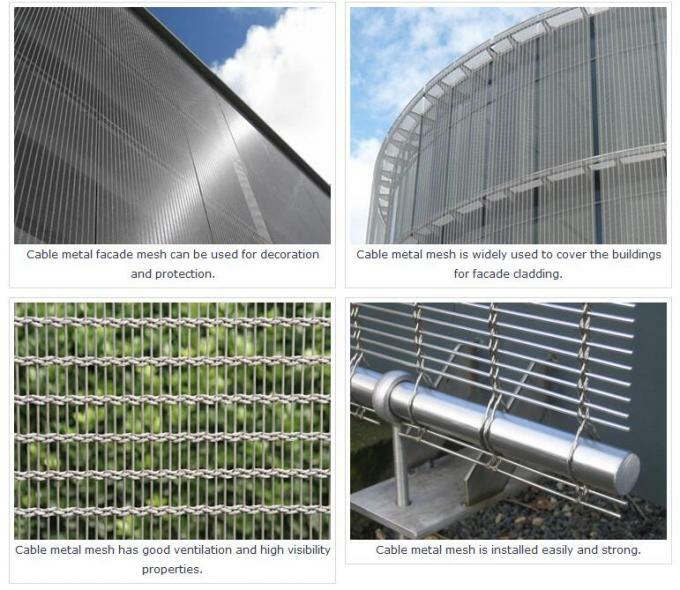 For example, the crimped wire mesh facade for a car park, that can be used as a security screen and the same time enhances the optical appearance of the building. Especial at the night, with the effect of light and shadow, and its high transparency, the buildings can capture the eyes of passersby. 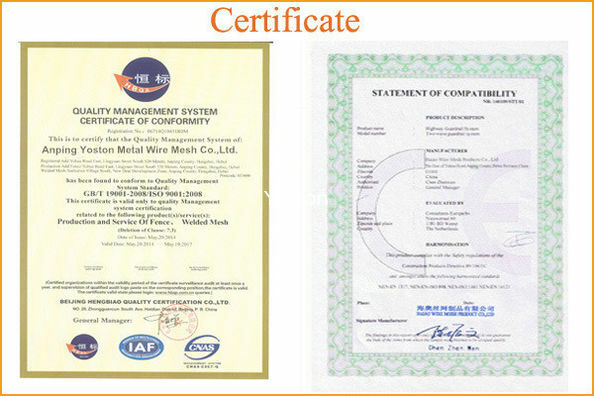 Material: stainless steel wire, copper wire, brass wire, phosphor bronze wire and other materials. Weaving method: plain crimped, pre-crimped, intermediate crimped, flat top crimped, lock crimped and dutch weave. Wire diameter: 1.2mm - 4mm. Wire pitch: 1.5mm - 120mm. 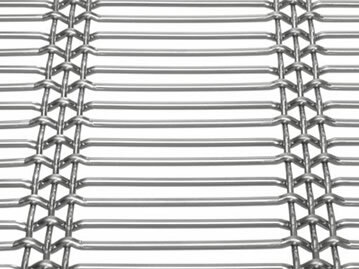 Material: stainless steel wire 304/316/316L. Warp diameter: 1.2mm × 3. Warp diameter: 2.45mm × 3. Warp diameter: 1.8mm × 3. Warp diameter: 2.0mm × 4. Warp diameter: 2mm × 1. Warp diameter: 1.2mm × 2. Warp diameter: 1.8mm × 4.